A typical urban tower house, Desmond Castle has had a varied, if not always illustrious, history since it was built around 1500 by Maurice Fitzgerald, the 8th Earl of Desmond. 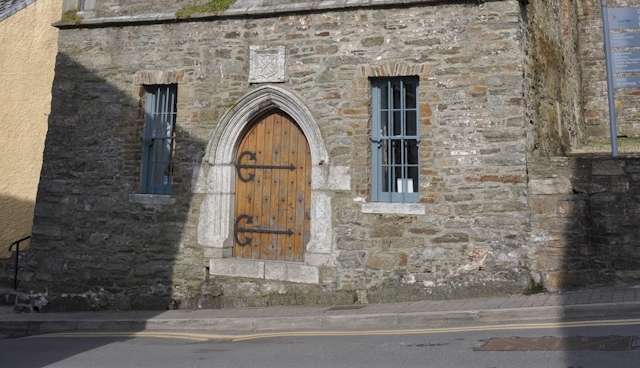 Originally built as a custom house, collecting taxes on goods landed in the port of Kinsale, it also served over the years and a prison and a workhouse. At the time the castle was built the Fitzgerald family were well regarded by the court of Henry III and he granted them the right to a cask of wine from every ship that landed in in the ports of Kinsale, Youghal, and Baltimore. This was quite a boon, as a thriving wine trade existed between the ports of Cork and the wine regions of Europe. They retained this right until the 15th Earl led an unsuccessful rebellion against Elizabeth I, which resulted in the forfeiture of Desmond property and the castle became the property of the crown. In 1641 the castle became a naval prison, primarily used to hold French and Spanish prisoners taken in sea battles by the British Navy. It became known locally as the French Prison, a name that stuck for centuries. Conditions in the prison were poor, there was overcrowding, food was often in short supply, disease was rife and prisoners endured fairly awful circumstances. In 1747 a fire badly damaged the building, killing 54 of its inmates. During the American War of Independence prisoners taken at sea from American ships were held in Kinsale at the castle. The appalling conditions in which they were kept caused alarm and disquiet in many quarters. There was considerable sympathy in Ireland for the American cause and local people made efforts to supply the prisoners with food and, in many cases, to aid them in escaping. Their case was taken up in particular by William Hazlett, who lived in Kinsale after his support for the American Revolution had caused him to flee England, and by Rueban Harvey, a Quaker merchant living in Cork. Those Americans who managed to escape were accommodated locally in safe houses until Harvey and Hazlett arranged passage for them, either back to America or to the Continent. In 1783 Harvey received a an official expression of thanks from George Washington for his efforts on behalf of the American prisoners. 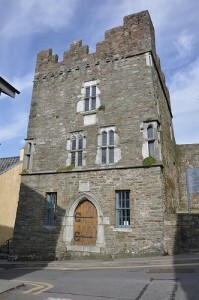 In 1791 the tower ended its life as a Naval prison and was given to the town of Kinsale. It remained a prison however, now for local miscreants, until the outbreak of the famine in Ireland in 1846. 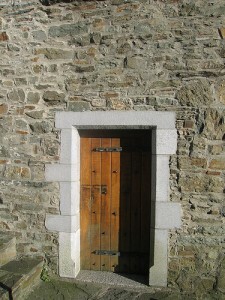 When the potato famine hit the area around Kinsale, leaving many people homeless, destitute and starving, the existing workhouse, in what is now St Ita’s Hospital, was overwhelmed and Desmond Castle was pressed into use as an overflow facility. During the height of the famine some 200 inmates occupied the workhouse there, and when you visit the castle to-day it becomes clear that their conditions can have been no better than those endured by the former prisoners – that so many people occupied so small a place defies belief. After the famine the castle lay abandoned, and was even used as a cowshed for a time, until taken into state care in 1938. It was finally restored in the 1990s and opened to visitors. The castle is now jointly run by Duchas, the Irish Heritage Council, and Kinsale Chamber of Tourism who have developed within it the rather grandiosely named International Wine Museum. This isn’t as fanciful as it may sound, as Kinsale’s involvement in the wine trade dates back to the 1412, when it was officially designated a wine port, and beyond. The links were cemented following the Williamite rebellion, when Catholics from the area, fleeing persecution and used the contacts they had established though dealing in wine to start new lives in France, many of them around Bordeaux. Hundreds of these Irishmen established vineyards there. Many fell by the wayside but the list of Irish names appearing on French wines is still quite long to-day: Château Lynch-Bages, Château Phelan-Segur, Château Langoa-Barton, and then there is the famous French cognac with the very Irish name – Hennessy. The museum tells their story and has an interesting collection of wine bottles, jugs and decanters. There is also a wonderful reproduction of a stained glass window from the church of St Patrice at Rouen, depicting St Patrick sipping a flagon of wine. The castle is open every day from Easter to the end of October. Groups can be accommodated by appointment at other times of the year.